After an intense and stressful work life comes the time to enjoy and retire. But where? Spain ranks first in Europe in the ranking prepared by the “Annual Global Retirement Index”, taking into account up to ten different variables that make it worthy of this first position. 2.- Benefits for retirees.– Now that you have time, you should enjoy it. In Spain your new situation also brings you benefits with discounts on tickets to theaters, cinemas, transport, restaurants, electricity, medical care, taxes, among many other advantages. 3.- Residence, which you can obtain quickly and easily fulfilling certain requirements especially if you are a citizen of the European Union. 4.- Cost of living.– A fundamental aspect to take into account when deciding where to retire. Spain is, without a doubt, a world leader in tourism, largely due to the high quality of our accommodations, hotels, infrastructures, restaurants, etc. with an amazing value for money. 5.-Integration.– Oriented to the facilities of a person who retires to integrate in his new home in a foreign country. In this sense, the facilities for accessing services, the language and the quality of care by residents to facilitate their adaptation to their new country are key. 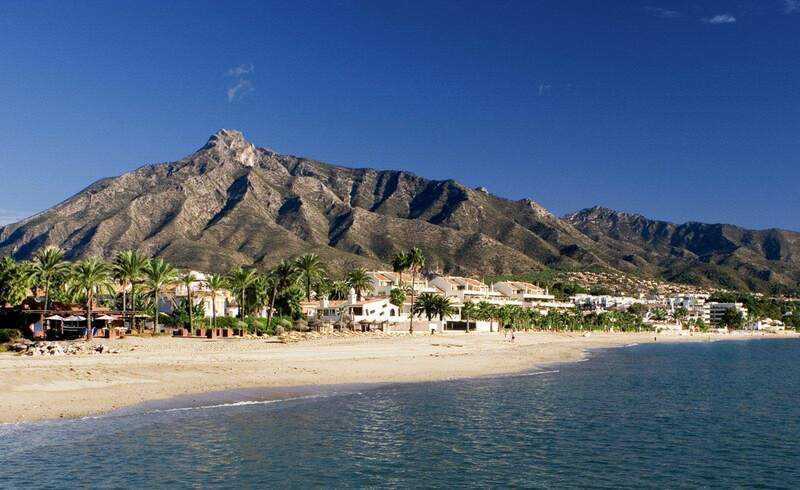 There are numerous colonies of nationals of their own country that are already settled on the Costa del Sol that will welcome you with open arms and the sensitivity of public institutions that will undoubtedly make your new life much easier. 6.- Entertainment.– For a foreign retiree, the leisure offer is essential. Beaches, Golf, Marbella, Puerto Banus, the proximity to the airport, Gibraltar, the City of Malaga that in recent years is being built as the cultural capital of Andalusia, its theaters, museums, the historic center, its monuments, etc. . make the Costa del Sol an ideal place for your retirement. 7.- Health.– And of course, when a person thinks of retiring, it is an important factor to assess the quality of the medical care services of the place where he has decided to settle during his retirement. In Spain, you can be calm about it, not in vain we occupy the seventh world position in health care according to the WHO. And our health system has contributed to this with more than 800 hospitals that have the most advanced technology to offer the latest medical treatments, with the most reputable and prestigious medical professionals at European and international level. All these factors together with our climate, air quality and welfare and welfare services make Spain a first class health destination where you will enjoy an exceptional standard of living and you can treat both your ailments or chronic diseases as continue with your treatments. 8.- The healthy lifestyle.– Spain in general and the Costa del Sol in particular is an ideal place to lead a healthy and peaceful life. Certain factors contribute decisively to this and favor the daily practice of exercise and outdoor activities such as long walks on the beach or hiking trails in the surrounding mountains. You will have no difficulty in finding fresh products at a good price with which to follow the “Mediterranean diet” that has been so beneficial to health over the years. 9.- Infrastructures.– Factors such as the facilities to access transport as well as the communications of our time, such as telephone, press and internet, make it an ideal place to retire. In Spain, they will be able to enjoy, as in the other European countries, a modern road network, wide coverage of public transport and internet and telephony services. On the Costa del Sol they have Malaga airport with direct connections to all of Europe and to almost all parts of the world. 10.- Climate.– Although we expose it in the last place, it is one of the key factors that a retiree values ​​most when deciding the country in which to retire. And it is especially important for British or Nordic nationals who, after a lifetime with a cold and humid climate in their country, look for a place to enjoy a pleasant retirement. In Spain the climate could be defined as mild, without sudden changes that will allow a pleasant retreat to enjoy the beach and the outdoors, a place where heating becomes a punctual option but not a necessity. previousI buy who is not the registered owner, what do I do? I buy who is not the registered owner, what do I do? How to choose your future home well?